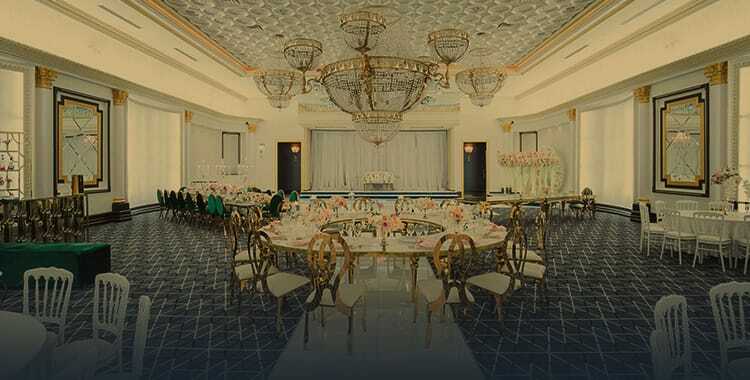 At Imperial Event Venue, we are putting the final touches on our renovations to the ballroom. Over the past few months, we’ve been working hard to create a sleek, modern new look for our space, and we’re almost ready. Final touches include finishing up our detailed mold trim, as well as wrapping up the brand-new stage area. The new stage area includes chic new flooring, stylish wall décor that matches the new patio doors, and new wallpaper which compliments our new black/white/gold color palette. We’ve also installed mirrors above stage with fresh paint. Keep an eye on our updates so that you’ll be the first to know when our brand new ballroom will be fully unveiled! 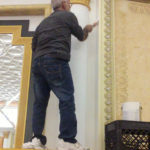 We’re still hard at work at Imperial Event Venue, getting our new and improved ballroom ready with a complete makeover. Over the weeks, we’ve been removing the old trim and installing new flooring in order to give the ballroom a fresher look, as well as applying new wallpaper and wall décor to unify the room’s updated, more modern look. Our chandeliers have gotten a facelift as well. 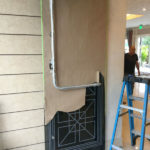 In addition, we have re-done the main entrance, the doorway from the foyer to the ballroom, and the entrance to the patio. The pattern on the patio door now matches our wall décor, which ties the room together beautifully. The new ballroom will be ready this month, but as a reminder, Imperial is still open and available to events as we transform it. At Imperial Event Venue, we’re transforming the ballroom into an entirely new look that is even more elegant and upscale than its current appearance. It’s a process, but we’re very excited to unveil the new Imperial Event Venue in May 2018. 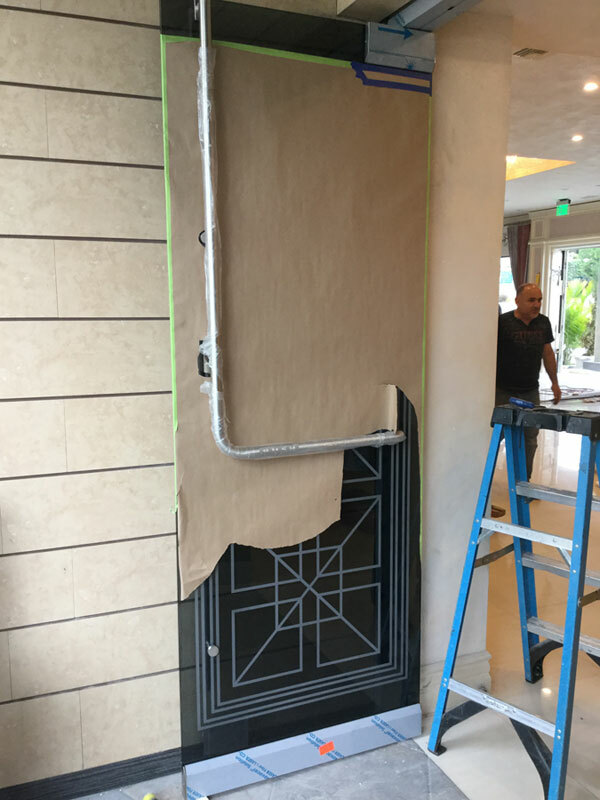 So far, we’ve started installing our brand-new custom wall mirrors, which surround the ballroom and will create an element of depth and a touch of sophistication to the space. 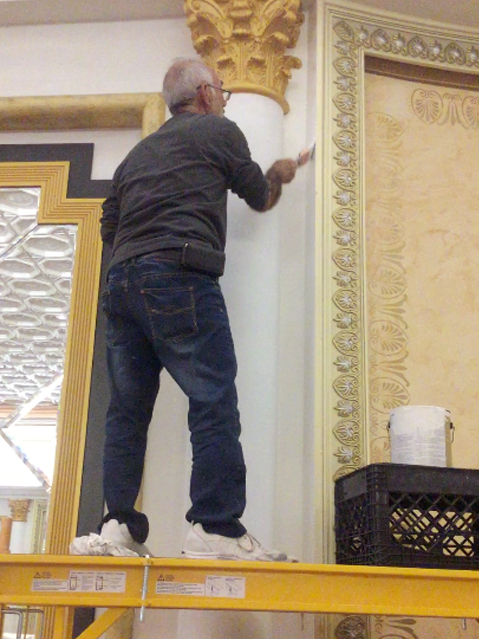 We’ve also begun resurfacing the crown moldings, which will feature LED lighting, and implementing black and gold trim to reflect the new color design we’ve chosen for the venue (black, white, and gold). Although Imperial is getting a major makeover, that doesn’t mean the events are coming to a halt during the renovation process. We’re happy to announce that our venue is still fully functional during the transformation, with no signs of construction or work. The ballroom is just as beautiful as expected during our renovation. Keep an eye here on our blog for updates regarding our changes to Imperial Event Venue. Week by week, we are getting closer to our final vision for 2018!